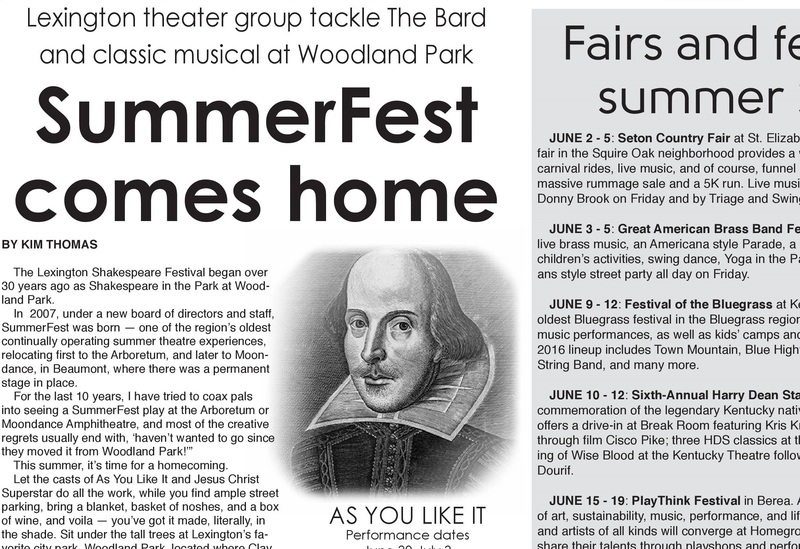 The Lexington Shakespeare Festival began over 30 years ago as Shakespeare in the Park at Woodland Park. In 2007, under a new Board of Directors and staff, SummerFest was born — one of the region’s oldest continually operating Summer Theatre experiences, relocating first to the Arboretum, and later to Moondance, in Beaumont, where there was a permanent stage in place. This summer, it’s time for a homecoming. Let the casts of As You Like It and Jesus Christ Superstar do all the work, while you find ample street parking, bring a blanket, basket of noshes, and a box of wine, and voila — you’ve got it made, literally, in the shade! Sit under the tall trees at Lexington’s favorite city park, Woodland Park, located where Clay meets Woodland meets High Street, nestled ‘tween all the busy and cool parts of campus and downtown. As You Like It is the show that opened the original Shakespeare in the Park series. According to Kentucky Conservatory Theatre Executive Director Wes Nelson (who will be directing Jesus Christ Superstar, along with choreographer Jenny Fitzpatrick and musical director Jessica Slaton Greene), the shows will again alternate weekly performances, giving each cast (and perhaps some of the crew) a week of ‘rest’ to refresh for a new performance later in the month. So if you miss one show, no worries, there’s another one just around the calendar corner. In the past, SummerFest has presented Shakespeare and musicals (like Rent, Little Shop of Horrors, etc). 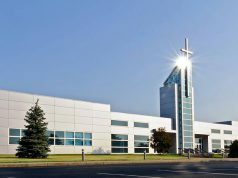 This article also appears on page 11 of the June 2016 printed edition of the Hamburg Journal.